The Nature of Sympathy explores, at different levels, the social emotions of fellow-feeling, the sense of identity, love and hatred, and traces their relationship to one another and to the values with which they are associated. Scheler criticizes other writers, from Adam Smith to Freud, who have argued that the sympathetic emotions derive from self-interested feelings or instincts. 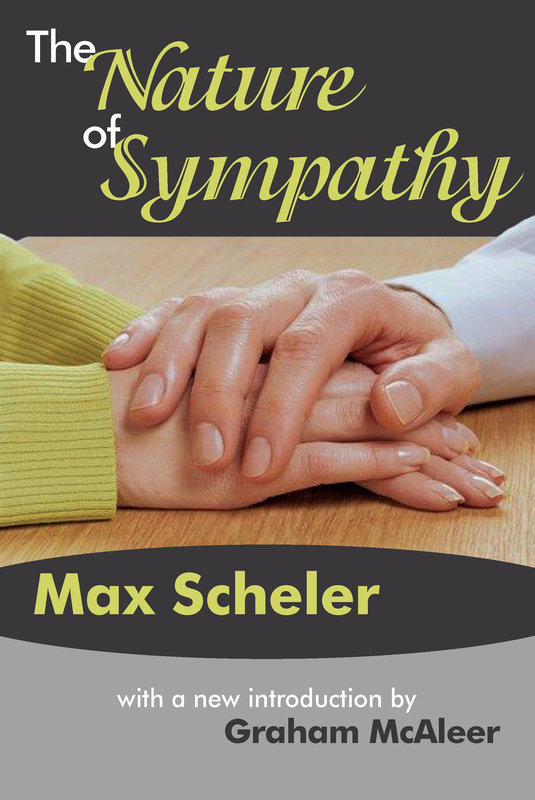 He reviews the evaluations of love and sympathy current in different historical periods and in different social and religious environments, and concludes by outlining a theory of fellow-feeling as the primary source of our knowledge of one another.A prolific writer and a stimulating thinker, Max Scheler ranks second only to Husserl as a leading member of the German phenomenological school. Scheler's work lies mostly in the fields of ethics, politics, sociology, and religion. He looked to the emotions, believing them capable, in their own quality, of revealing the nature of the objects, and more especially the values, to which they are in principle directed.